Pregnancy affects you head to toe! The full list of symptoms & discomforts you may experience during pregnancy. A lot happens in 40 weeks! Find out what to expect each week. Find other moms-to-be. Search by name, profile tags or due date. 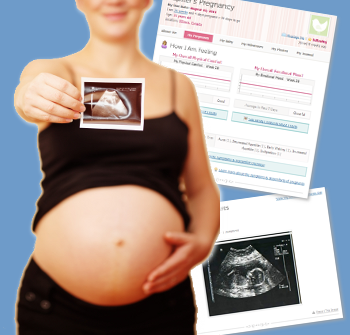 Create your own personalized pregnancy ticker! These tickers update each day to help you keep track of your pregnancy progress and much more! Do you have a pregnancy question or need advice? Get helpful answers from moms and other pregnant women. Share your experiences by helping others with their questions. Meet other moms and moms-to-be. Share your thoughts, stories and get helpful advice. Connect with women who are on the same journey as you! A friendly, supportive community.